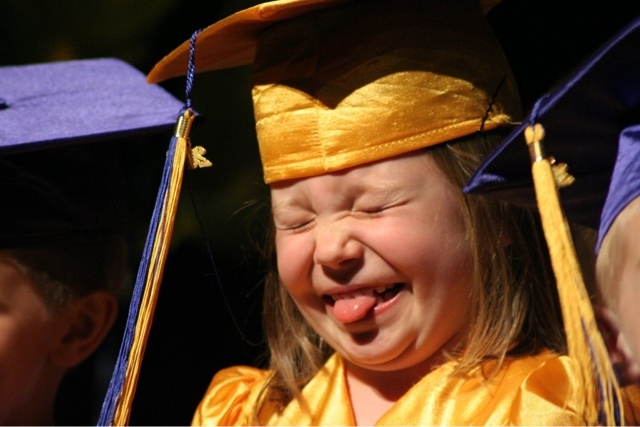 Before I had children, I didn’t understand the fanfare over Pre-K/4K graduations. I felt it was an insignificant celebration that detracted from high school and college students who actually had to work to earn their diplomas. A delightful blast from the past has made its way to the blog, as we reminisce Landen’s 4K graduation. That was the moment, when I got it. I understood. 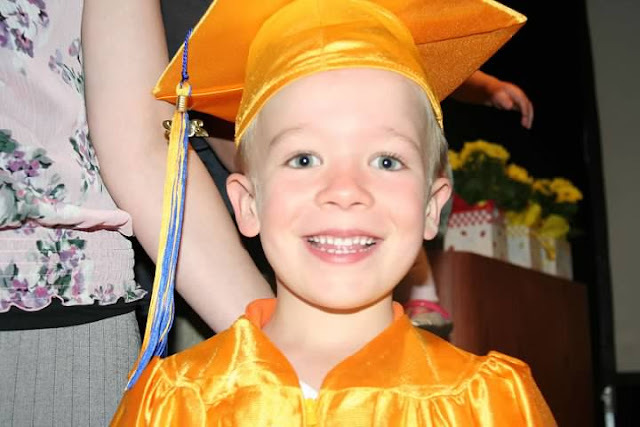 I felt my eyes well up with tears at the sight of Landen in his cap & gown, laughed and clapped at his classes’ sing-a-long, and was oh-so-proud when he walked across the stage to receive his passport to kindergarten. It was in that moment my cynicism was traded in for the preference of celebrating the little things. The joyous things. And the fanfare made Landen proud and excited for kindergarten, which really helped with his transition to public school. 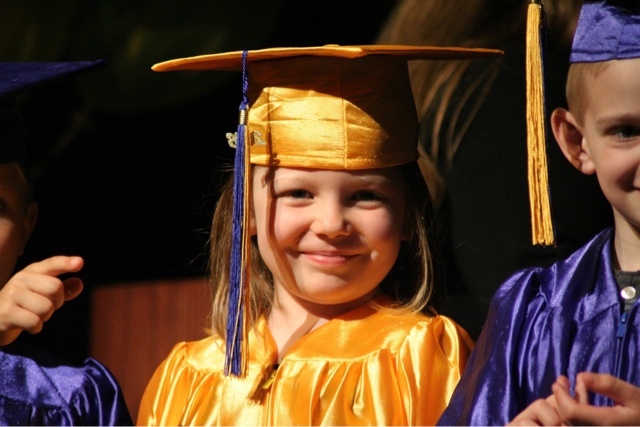 Recently, the little sister followed suit – donning a similar cap and gown, singing songs, and walking across the stage to receive her own passport to kindergarten. And here again, the excitement for this upcoming transition and pride that beamed from that little girl is the reason why, I completely believe these 4K graduations are a big deal. Motherhood has the power to melt your cynicism, and open your heart to what matters – the little moments that create lifelong big memories. After visiting with her 4K teachers, her favorite person/sometimes babysitter, and our friend/center director, we returned to the house. Though Landen will openly admit he is not excited for his sister to join him at his school, I believe he talks like that to mask how he truly feels. They’re proud of each other. And I will welcome any reason to celebrate that. First Lacrosse Game of The Season!